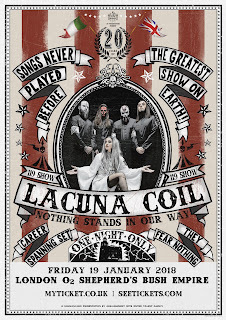 RockChickenz: LACUNA COIL announce 20th anniversary show "Nothing Stands In Our Way"
LACUNA COIL announce 20th anniversary show "Nothing Stands In Our Way"
Tickets are available via the band’s new and redesigned website. 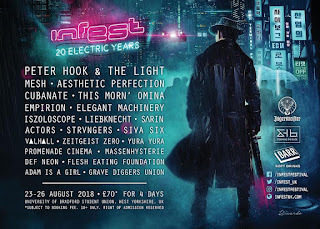 It will be a unique extravaganza and truly exceptional event that is not to be missed. 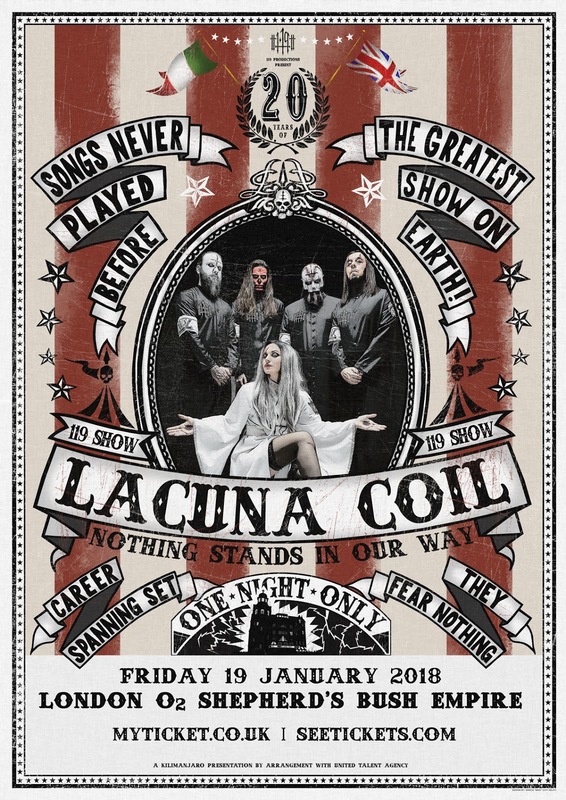 Apart from a career spanning set you will be able to enjoy LACUNA COIL songs never played live before. The show will be filmed and recorded for a release later in 2018. LACUNA COIL are also working on their first ever book of the same title, “Nothing Stands In Our Way”, which will be published around the world early in 2018. LACUNA COIL are still touring on their latest album “Delirium”. Fresh, dark and extremely powerful are only a few of the best ways to accurately describe “Delirium”, which encompasses the strength and heavy approach of thrash metal from the 90’s twisted with goth elements into a modern style.